Because identity theft is not only extremely harmful to the victim, it may also be used to facilitate or fund other crimes, like illegal immigration, terrorism, and espionage; therefore, law enforcement agencies, sometimes as high as the FBI, get involved early and treat the cases seriously. A conviction for identity theft can also carry very serious penalties — including hefty fines and possible jail time. Under Investigation for Identity Theft? Get Early Legal Help. One of the keys to successfully fighting back against charges of identity theft is to get early help from an experienced criminal defense lawyer. Most people eventually arrested for identity theft know beforehand that an arrest is likely. The case may be under active investigation by law enforcement agencies. In almost every case, the earlier a defense lawyer is brought on board, the better the chances of minimizing negative consequences. There is nothing to stop you from enlisting the help of a criminal defense lawyer at any time during an identity theft investigation, including during the very early stages. Despite any explanation to the contrary by the police or investigators, you have the right to retain a defense lawyer during an informal or formal investigation, before charges are filed. Your lawyer can serve as your spokesperson during the investigation, appearing at your side during any required questioning sessions. In the right circumstances, your attorney may be able to resolve the identity theft investigation in your favor before formal criminal charges are filed. 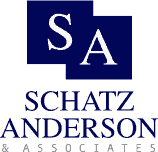 At Schatz, Anderson & Associates, LLC, we provide aggressive and knowledgeable criminal defense services across the state of Utah, including the communities of Salt Lake City, Ogden, Provo, and St. George. Our attorneys have more than 40 years of combined legal experience practicing criminal law, and we have built a reputation as an ethical law firm that provides a strong defense on our clients’ behalf. Schedule your consultation today!